Home / bank Interview questions / Bank Interviews / Why Bank/Insurance jobs / Why choose bank job after engineering? How to answer in interview? Why choose bank job after engineering? How to answer in interview? This is the most asked question in interviews for banking jobs for engineering graduate freshers. Similar to the question "Why MBA after B.E. or B.Tech" that we've discussed a lot on this forum, this is a very important question that one needs to prepare for when going for any banking sector interview. Traditionally, it is believed that bank jobs are taken up either by commerce graduates or MBA degree holders. However, with the sheer amount of engineers that India is producing year after year, that picture has changed quite a lot in the last decade. More and more engineers readily choose banking jobs straight out of their engineering college. 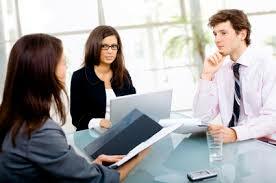 Even if you have a third option in mind already, you need to be able to put it very clearly before the interviewer. Many applicants aren't very sure of why they are going into a banking sector job, so I advise that you take time out before the interview to write down what a career in banking means to you and why you are a perfect fit for the said position in the bank. Here are some of the points that I think should come in handy for any engineer preparing for bank interview. 1. Changing with times, banks have been fastest to adopt new technologies. As an engineer, I keep myself up-to-date with latest trends in technology sector. 2. ATMs, Internet Banking, Mobile Banking, Credit/Debit Card Management all these departments need engineers. 3. Engineers have really good mathematics & analytical skills - something that the job demands. 4. If applicable to your profile, you can talk about leadership. How you organised events at college level or at internship level. Banks need leaders in every department. 5. Communication Skills. A must for any banker. You need to quote real life examples from your experience at college and extra-curricular activities that helped you build really good communication skills. 6. Stability IT/Core Engineering jobs are highly unstable. If I am looking for a stable career option that pays well, banking offers really good options. 7. Perks at a bank job are really attractive for me as an engineer looking for a long-term stay. For eg: Cheaper loans, Accommodation facilities, Fuel for vehicles, LTC or LFC etc. 8. Banks have a fair selection process that relies heavily on merit. You can prove it to the interviewer that your technical know-how coupled with analytical skills are perfect for the bank job. 9. Every bank today has an Information Technology department. You can learn software used in bank (at least the basics) and that will come in really handy. For eg: Finacle, BANCS, Flex Cube are the various leading software used in banks. As an engineer, it should be easy to train yourself in any one of those. 10. Last but not the least: Let the interviewer know that you are in this for the long-ride. Banks suffer from high attrition rates and most employees frequently shift their jobs. If you convince the interviewer that you don't like job-hopping (Something that's prevalent in IT sector), you increased your chances of getting selected.